May is a popular time of year for graduation parties and pre-summer gatherings! 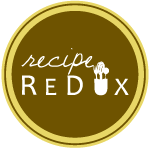 To celebrate and provide something refreshing and deliciously nutritious beverages, our Recipe Redux group is sharing some pretty and fun cocktails and mocktails! One of my all time favorite cocktail is a sangria. And I realized when making this recipe that one of my favorite foods – or beverages- to twist is cocktails! I’m not actually big into making homemade cocktails. Partially because I’m not much of an alcohol drinker to begin with and also because I’d rather just pour myself a glass of wine to keep things simple, easy and fast! With that being said, I really love making mocktails! It’s a fun challenge to see if I can recreate flavors in a way that’s pretty, refreshing, and yet more nutritious, less (if any) sugar, and minimal calories! My mocktails don’t involve lots of sugary sweeteners. They are wholesome, fresh and delicious! This is a new favorite you’ve gotta try! Juice half the orange and add it to a pitcher. Slice the remaining half and add to the pitcher as well. Toss in the remaining fruit. Pour in the sparkling juice and let sit in the fridge for a few hours. Before serving, pour in the club soda. Serve over ice and in garnish with extra fruit. That’s it! It’s a chop and dump kind of recipe. It can be made at the last minute, but truly the longer it sits together, the better it will taste- just like sangria- gets better with time and a delicious combination of fresh flavors!